Just days after BrisbaneDevelopment.com posted a story about Brisbane’s critical need for urban rail investment, Lord Mayor Graham Quirk has announced his first major city council election commitment. His plan is for a $1.54 billion “Brisbane Metro” system which is proposed to be a mixture of new underground tunnels as well as transforming the existing South East and Inner Northern Busways from Woolloongabba to Herston and into the CBD. Passengers from outer suburbs will transfer onto the high frequency metro line. It is understood that the metro line will veer off the South East Busway into a new underground tunnel and station at the Cultural Centre with a smaller at surface station to support buses going to and from West End, such as the Blue CityGlider. The metro will then head over the Victoria Bridge and onto a new underground section beneath Adelaide Street before joining up to King George Square Station and use the existing route of the Inner Northern Busway stopping at all stations. The map below shows the indicative planned route (red line). The Victoria bridge is planned to be converted into a public transit only green bridge. Cr Quirk said it would be segregated from the road network and carry up to 30,000 passengers an hour, which is 10 times the potential capacity of the Gold Coast light rail. “Travel times from Woolloongabba to the CBD are ­estimated to take 6½ minutes compared to the scheduled 12 minutes, but they often take up to 20 minutes because of bus congestion,” he said. It is understood that the system would be a new generation rubber-tyred metro rail system which is used in some cities such as Paris, Montreal, Taipei and Tokyo. A similar driverless metro system under construction in Paris can be seen in the video below by French multinational engineering consultant Alstom which has the rubber-tyred rail system. Lord Mayor Graham Quirk’s commitment to deliver a $1.5 billion first stage high capacity metro system sees the Council step in to fill the funding gap left by the State’s wounded budget, said Infrastructure Partnerships Australia. 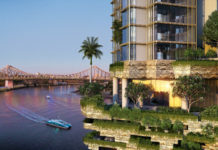 “This will move Brisbane towards a modern, international-style metro system, and is crucial to meet Brisbane’s population growth,” said IPA Chief Executive, Brendan Lyon. 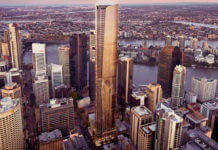 “Brisbane is already a very large city and it’s growing fast. “Until today, industry has not been expecting any major infrastructure in Queensland in the near term, because Queensland’s huge public debt means the state cannot afford it. “This project will be taken very seriously by business, because Council has announced that while it will be seeking contributions from other tiers of government, the backstop position is full council funding. “Brisbane’s growth means it needs rail systems that are high frequency and capacity, giving commuters good quality and fast commutes. Lord Mayor Graham Quirk’s plan comes weeks after Labor’s lord mayoral candidate Rod Harding announced a policy to investigate a light rail line from UQ through West End, the CBD, Fortitude Valley and onto Newstead. Cr Quirk said since the incoming State Government scrapped plans for a combined bus and train tunnel, it had refocussed on Cross River Rail which would not remove the problem that bus users face. “Long term solutions are required for both the bus and rail networks and I do call for the State Government to be cooperative in terms of what we are proposing,” he said. 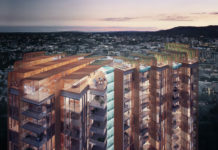 “This is a project that will be built over six years and provide a 100 year life for the city to keep Brisbane heading in the right direction,” he said. 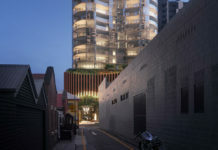 Cr Quirk said the council would fund, via borrowings, the “majority” of the $1.54 billion dollar project, however would not be drawn on an exact amount. “We have demonstrated in the last 12 years we are capable of funding big scale projects,” Cr Quirk said. “We will be the major funder of this project but we will certainly be asking for support from the state government in particular and the federal government,” Cr Quirk said. “I am going to make this happen, the state government have to be co-operative, have to give approvals but we have to do something, if we do nothing, the delays in public transport are going to grow and grow. I’m incredibly excited that the LNP has decided to back the idea for a rubber wheeled metro in Brisbane. I’m 100% behind this as a concept. Particularly as it the project would also include a fundamental change in bus networks to feed into the metro. BUT… the problem is the route. Firstly, this route already has high capacity PT. It would be better to start on an alternative route where it could support further development. Secondly, this route causes a lot of redundancy in the busway network and problems in the way the remainder of the network will work – particularly at RBWH, the connection from Woolloongabba to Mater Hill, between Upper Roma Street and Roma Street Station, and at the city end of Victoria Bridge. Finally, there’s no obvious location on this route for where a depot would be located. And it’s not extensive enough: 6/10 (you’ve got to start somewhere). utterly ridiculous. They couldn’t even build 1 bus ‘BAT’ tunnel in co-op with State Govt, and now they have cash for an underground? The most unbelievable election promise in years. Newstead area desperately needs some kind of inclusion in something like this. I own a business in Newstead. There are hundreds of apartments going up in the area and no car parks for anybody, commercial or residential. Fortitude valley station and Bowen Hills are too inconvenient for my customers. if a light rail system was included in Newstead, all of our prayers would be answered. Maybe it should be the shared responsibility of the developers who profit from badly-resourced apartment developments to provide public transport options, as well as council? Its all talk but no action since 2008 on this transport rail system. Does anyone know what happened to BCC’s Suburbs2City plan, proposed in 2012? So far, nothing seems to have moved on this project. Is anything happening? A metro is a good way forward but $1.54 Billion to convert a short section of busway into a metro line? Utterly ridiculous! It’s disappointing that so much money is being spent, yet the inner city areas that currently lack satisfactory public transport are being left out.